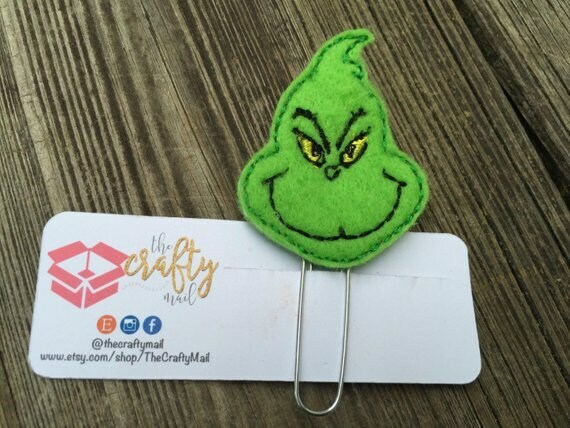 Large paper clip with the mean green inspired embellishment. Super cute for Christmas! This one is done in glitter vinyl. The felt version is available in my shop as well. 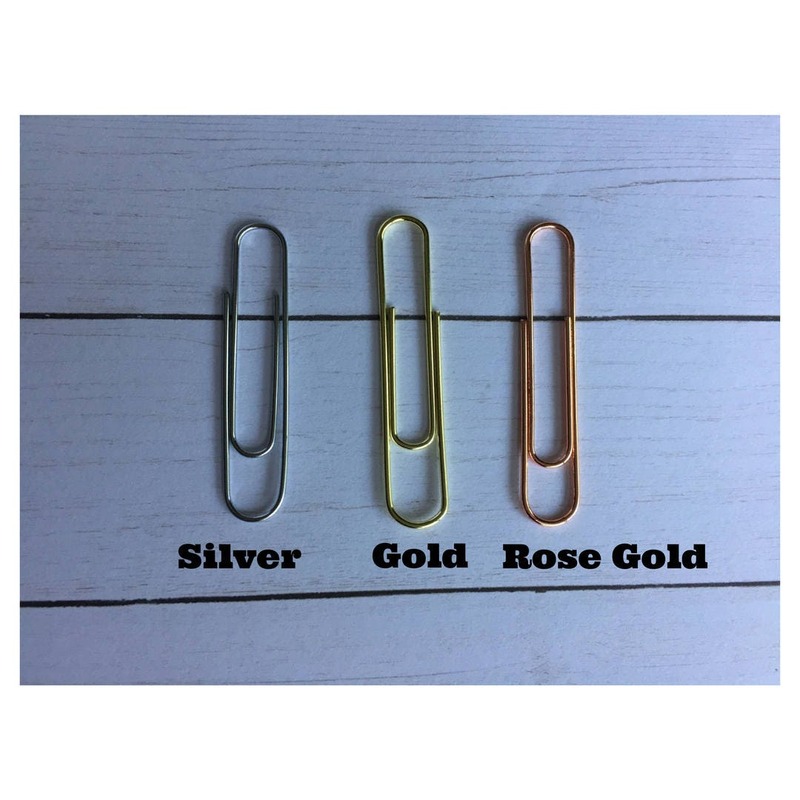 Choose either a silver, gold or rose gold paperclip & even add a bow if you'd like!